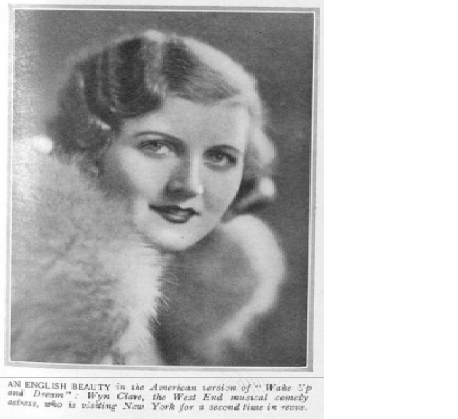 Gertrude S. Wood, age 37, single, actress, English, born Hoylake, England, last permanent address Eastbourne, England. 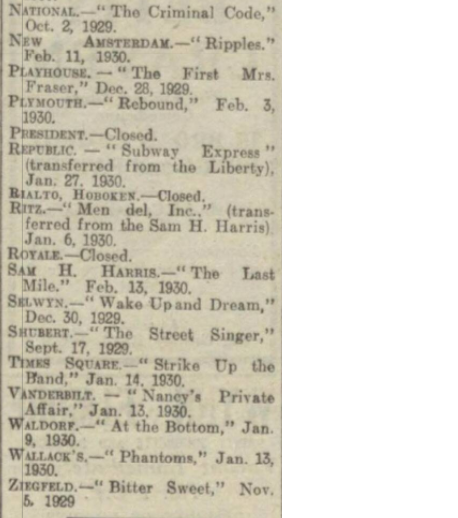 From The Stage - Thursday 27 February 1930. 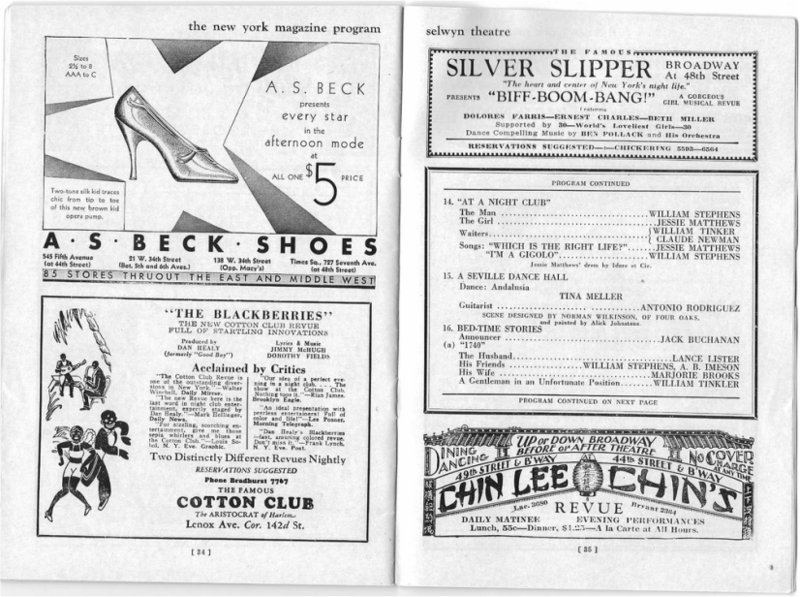 From The Era 12 December 1929. 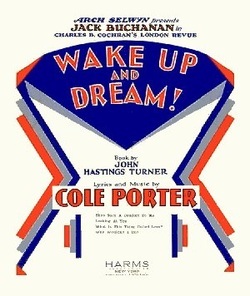 For Manchester audiences, the Wake Up and Dream which was put on at the Palace Theatre the 3rd inst.. is just a revised version of the "1929 Revue”, which Mr C.D.Cochran produced here in the spring this year. 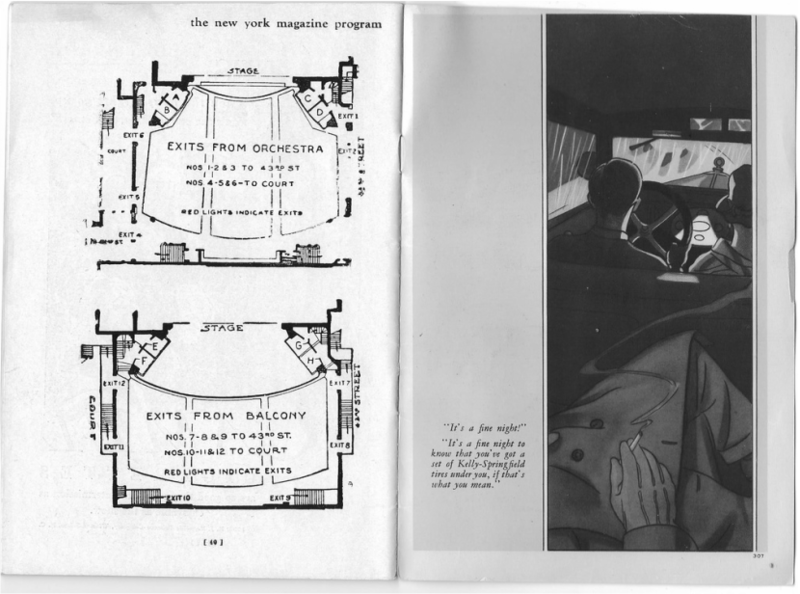 There are various incidental intercuts. 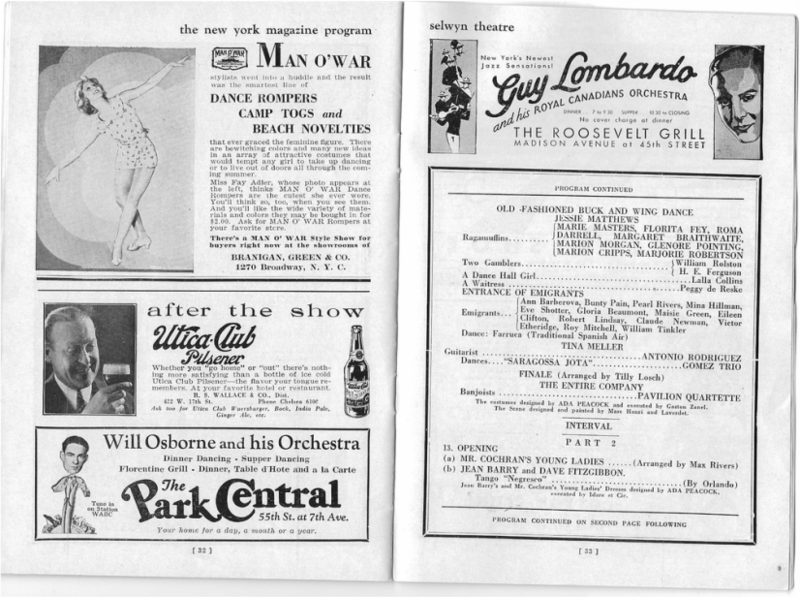 One is that the show has been freshened for its impending presentation in New York; another, that the scenes, business and personnel have been to some extent re-arranged. 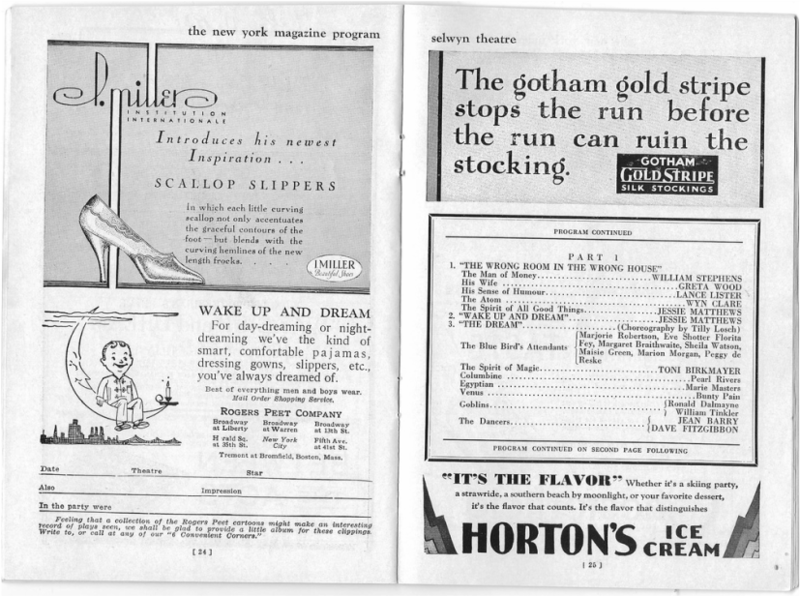 Whereas spectacular artistry is usually the leading feature of Mr. Cochran’s productions, comedy has been advanced this time to make an equally popular appeal. 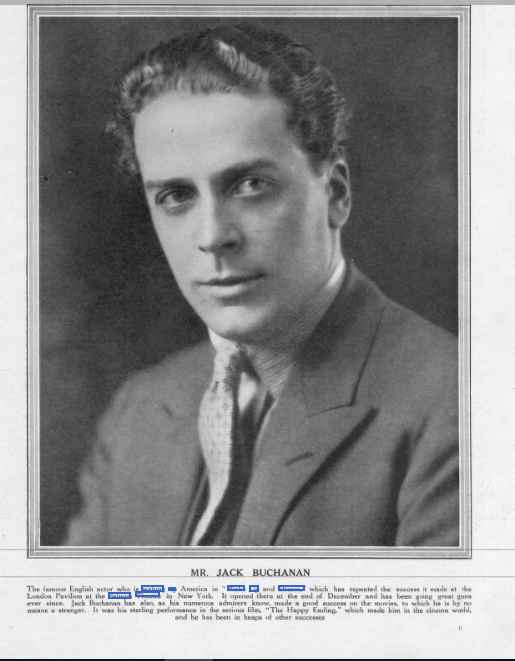 It was a wise move to secure Jack Buchanan for the purpose. His personality is outstanding; is the acme of ease, adaptability and resource; and his clarity, both in speech and song, something thankful for. In the latter respect he stands almost alone. In respect of sheer amusement, a shrewd hint lies also in the "Pogo” scene, introduced by the Griffiths Bros. and Miss Lutie; purely a variety act, which was biggest laugh of the evening. If New York is not amply entertained by Jack Buchanan, and does not hold its sides at Pogo. the horse, it will be an astonishing thing. Probably it will be pleased also by Jessie Matthews, who has developed remarkably in grace, confidence, charm and. above it all in clear vocal achievement. 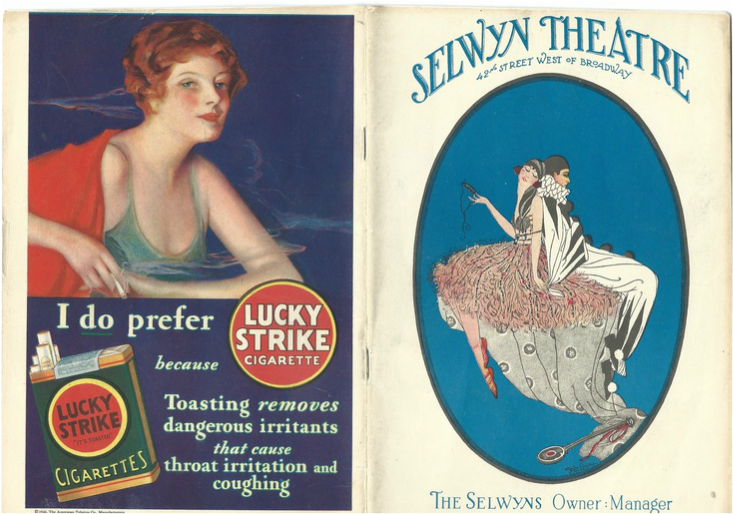 The other comedy features remain much as before, though less lavish in detail, and there is the overwhelming beauty in the settings for both humorous and spectacular effect. 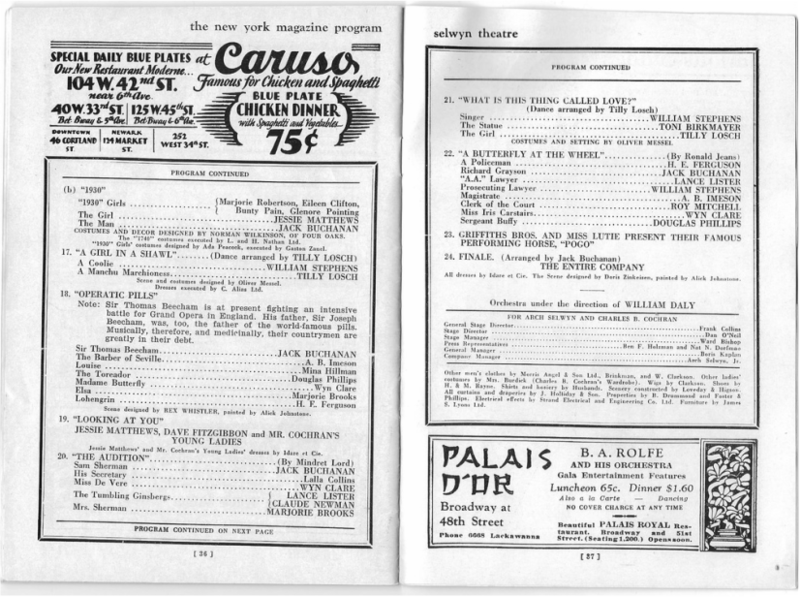 The cast in general is also much the same, including William Stephen, Lance Lister, Douglas Phillips, Wyn Clare, Moya Nugent and others in competent performances; while beautiful speciality largely of a more than spectacular quality, is introduced by Tilly Loach, Tina Meller, Ann Barberova, Toni Birkmayer. and the Gomez Trio. Perhaps the most beautiful-—certainly the most profoundly imaginative—example is the "Gothic” feature done by Tilly and Ann Barberova. 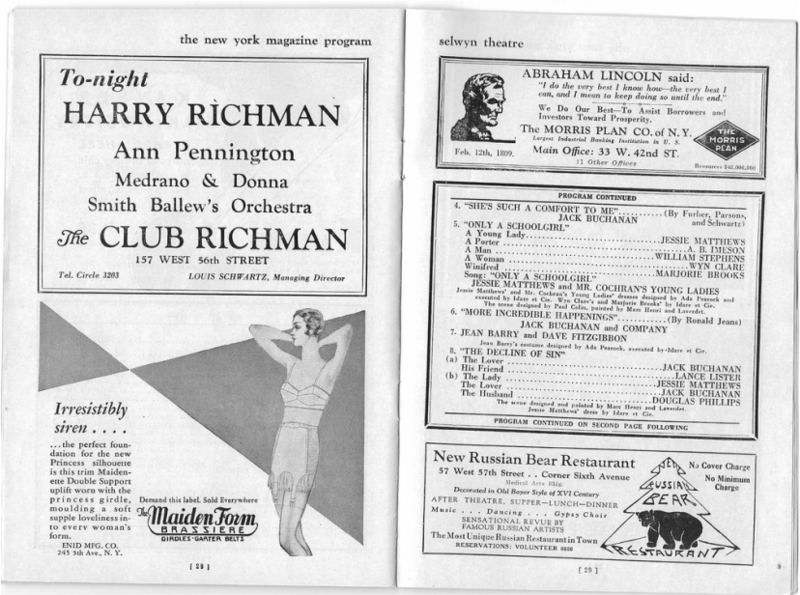 It all sums up to a brilliant entertainment, upon which Mr. Cochran satisfied accept Manchester’s enthusiastic verdict, whether Now York likes it or not. 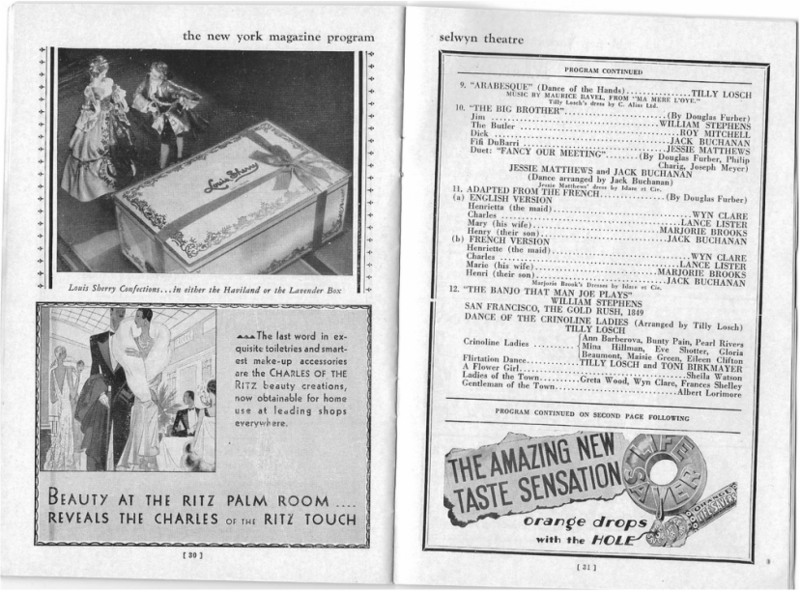 Greta Wood was in the production of "Wake Up and Dream", at the Palace Theatre, Manchester, in 1929. 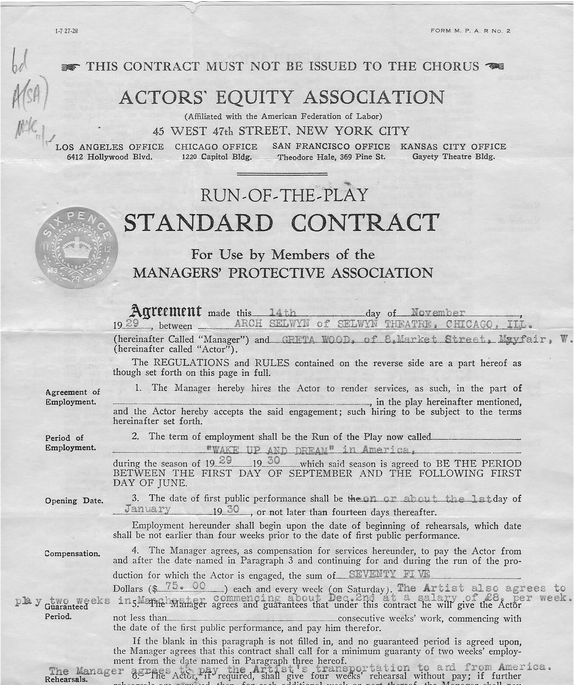 The play visited the U.S.A, and played at the Selwyn Theatre, Chicago, from December 1929 to April, 1930. 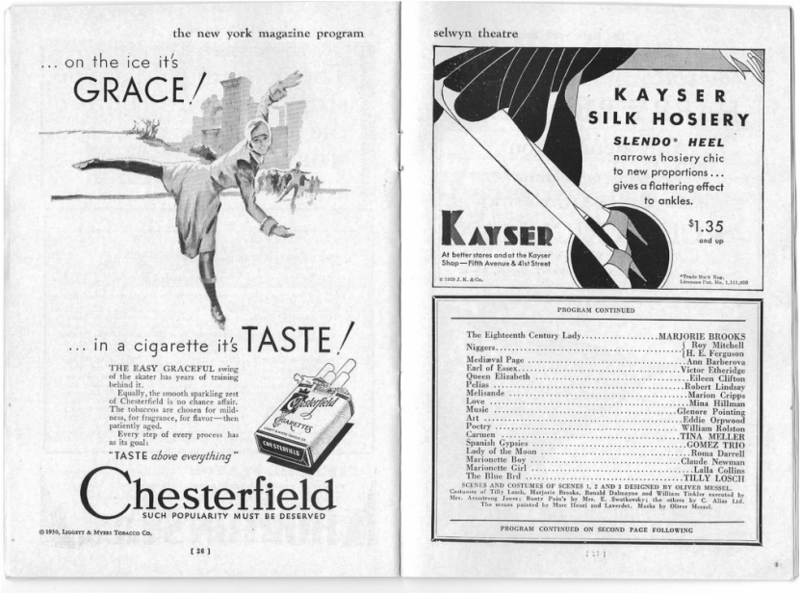 From The Tatler - Wednesday 29 January 1930. From The Illustrated Sporting and Dramatic News - Saturday 01 February 1930. 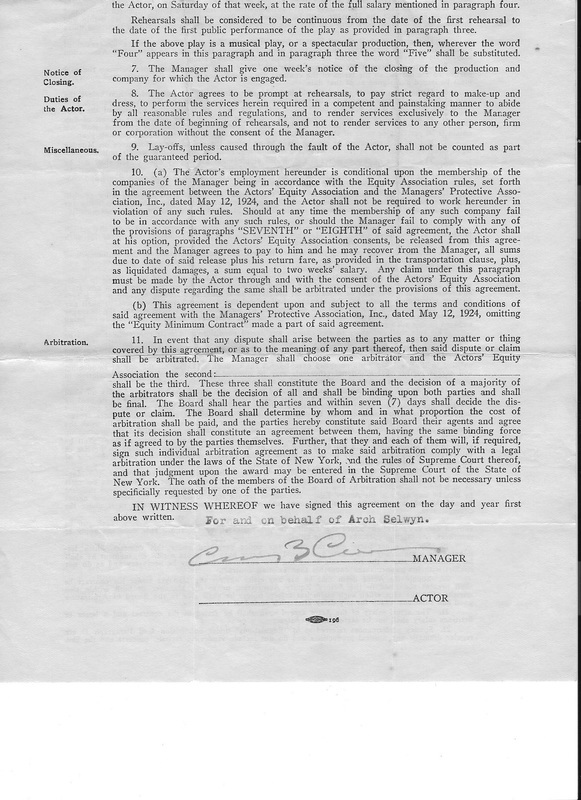 Greta Wood's contract from "Wake up and Dream", in the United States of America, in 1929/30.